HAIFA, ISRAEL and NEW YORK (June 4, 2018) – In most of the Western World, cancer is the primary cause of death in children over the age of one. Existing treatments for adult cancer patients are not particularly effective for children. This is because chemotherapeutic drugs have different effects on children’s physiology, which is quite dissimilar from adult physiology. A child’s cancer cells differ in aspects that include genetic characteristics, growth patterns, and developmental pathways, and conventional chemotherapy can cause particularly severe damage to an ill child. The transport of drugs using nanoparticles is a very promising technology expected to change the face of medicine. It is particularly relevant for transferring anti-cancer drugs into the tumor. But despite extensive research and developments, the implementation of such technology for children with cancer has not been widely studied to date. This is due in part to restrictions on child participation in clinical trials and variances in the physiology of children at different ages. But a new system for the transport of anti-cancer drugs, developed at the Technion-Israel Institute of Technology offers hope and a glimpse of things to come. 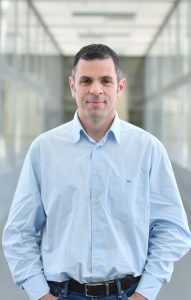 The system – which slows tumor growth and prolongs life expectancy in mice by 42% – was developed by Prof. Alejandro Sosnik of the Department of Materials Science and Engineering together with graduate student Alex Bukchin and conducted in collaboration with the research group of Dr. Angel Carcaboso from the Hospital Sant Joan de Deu-Barcelona. The study was published in the Journal of Controlled Release. The development led by Prof. Sosnik is based on the selective transport of the chemotherapeutic drug Dasatinib via nanoscale packaging. This packaging directs the drug mainly to the cancer cells, thereby greatly reducing the exposure of other organs to the drug, and significantly reducing toxicity. Dasatinib is an approved drug sold throughout the world. It inhibits a tyrosine kinase, an enzyme that acts like a switch for activating and deactivating various cellular processes. One of these processes is cell growth and division, so a mutation in a tyrosine kinase can lead to uncontrolled cell division – that is, a cancerous tumor. Currently administered in the form of tablets, Dasatinib inhibits the tyrosine kinase and stops cancer growth. However, the drug is released in an untargeted way in the patient’s body, which causes it to affect healthy cells as well. The technology developed by Prof. Sosnik and his team is intended to prevent this phenomenon by transporting the drug to cancer cells alone, thus maximizing its efficiency without harming healthy tissues. The transporter is made up of polymer micelles, nanostructures created by the self-assembly of polymers in water and considered to be an excellent method for transporting drugs, in part due to their tiny size (10 to 300 nanometers). The major innovation in Prof. Sosnik’s research is the addition of sugar to the nanoplatform. The cancer cell identifies the sugar and intakes the delivery system, releasing the drug inside the cell and inhibiting the enzyme activity. In the lab experiment carried out by Prof. Sosnik’s research group, the efficacy of the new delivery system reduced the dosage of the drug needed to kill sarcoma cells – a cancerous tumor of muscles and bones which accounts for about 10% of tumors in children – in vitro by about 90%. The efficacy of the delivery system was also demonstrated in vivo using cancer models in mice developed by the Spanish group using tumor biopsies of pediatric patients. The delivery system significantly improved the accumulation of the drug into the tumor environment. Moreover, the use of this nanotechnology platform led to a dramatic prolongation (42%) of the median lifespan of mice from 19 days (in the control group) to 27 days. In both the lab and animal experiments (unlike the conventional administration of this drug by swallowing) the injection of Dasatinib using the new delivery system leads to its accumulation mainly in the tumor. This means that the efficacy of the drug increases while healthy tissues are not affected, thus avoiding the various side effects of many chemotherapies. The article in the Journal of Controlled Release summarizes a three-year study that led to the first success in delivering Dasatinib with the help of these nanoparticles, and the first demonstration of the particles accumulating in the tumor in the patient’s tissue, in a model of pediatric cancer in experimental animals. The research was supported by Technion as well as grants from the European Commission (#612765-MC-NANOTAR and #PIRG-08-GA-2010-276998). Prof. Sosnik, who leads the joint curriculum of the Technion Department of Materials Science and Engineering and the Faculty of Biology, focuses on developing special treatments for children with cancer. 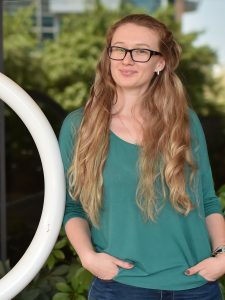 Prof. Sosnik is part of the Russell Berrie Nanotechnology Institute (RBNI) and recently joined the Technion Integrative Cancer Center (TICC) as affiliated engineering faculty member.